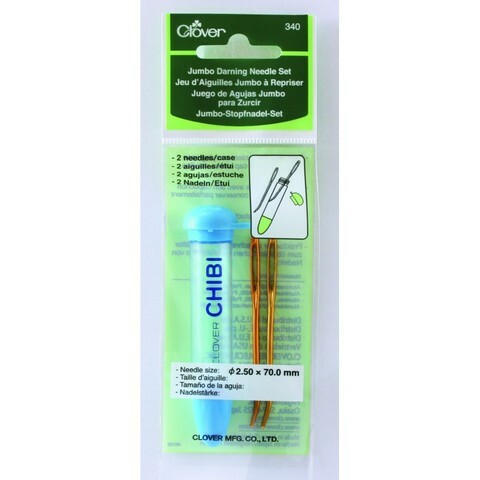 Very good darning needles from Clover, which are very effective for stapling. The needles are made with a sharp tip so you can easily and effortlessly get the needle through the stitches. The package contains 2 needles and a smart plastic folder for storing your needles, so you are sure they will not get lost. Dimensions: 7 cm long and 2.5 mm thick.